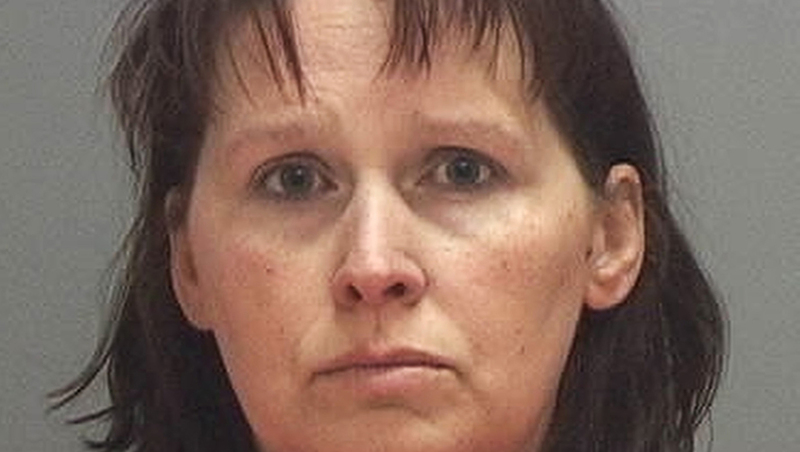 SALT LAKE CITY - A Utah school bus driver was arrested Monday on suspicion of DUI after driving erratically and nearly hitting a car on a busy stretch of highway while taking 67 elementary-school students on a field trip, authorities said. Lycia Martinez, 39, is suspected of having taken prescription anti-anxiety/muscle-relaxer pills, which were found in her purse, Utah Highway Patrol Sgt. Blaine Robbins said. A motorist and a parent on the bus made 911 calls about the swerving, Robbins said. They said several drivers were honking their horns as Martinez failed to stay in the carpool lane. "She can't stay in the lanes, she's crossing the double lines, and the adults are getting scared," said the woman who called 911 from the bus. "We have a long ways to go with this lady, and we are not feeling secure." A few minutes later, the woman says, "Oh my hell. ... I don't get scared very easily, but my heart is pounding," according to audio made public by the Utah Highway Patrol. Patrolmen pulled over the bus on an Interstate 15 off-ramp in the northern Utah city of Draper - about 40 miles south of where the trip started. Nobody was hurt on the bus, which had seven adults aboard, and no cars were hit despite driving that easily could have caused a major accident on the southbound highway with five lanes and a speed limit of 75 mph, Robbins said. "We really dodged a bullet," Robbins said. The fifth- and sixth-graders on the bus were oblivious to the situation, said the sergeant, who handed out pencils to the students as they were waiting for another bus driver to arrive. That driver shuttled the children the rest of the way to a student council conference at Brigham Young University. The students came from four different schools in the northern Utah cities of Layton and South Weber, said Davis School District spokesman Chris Williams. Martinez, who has worked for the district for six years without any known previous incident, is on paid administrative leave during the investigation, Williams said. Martinez doesn't have a listed phone number, and it's unclear if she has an attorney yet. All bus drivers in the district get drug screenings before being hired and are subject to at least one random drug test a year while employed, Williams said. If they take prescription medications, they are supposed to inform their supervisor. Williams didn't know if Martinez had done that. The district will reassess policies to see if there are ways to prevent an event like this from happening again, he said. "Talk about precious cargo," Williams said. "We are very fortunate nothing happened, not only with the students on the bus but with other drivers on the road."